Our highest competitive entrance awards include 24 Prestige Scholarships. For all Prestige Scholarships, you need a minimum 90 per cent admission average accompanied by a variety of extracurricular activities demonstrating leadership and community service. 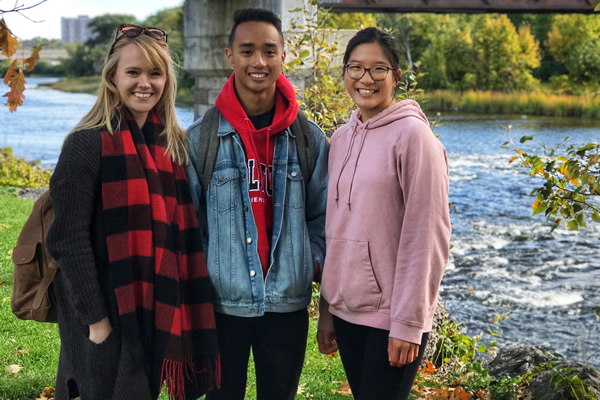 To be considered, you must be entering Carleton for the first time and have no previous attendance at post-secondary educational institutions. One application form is used for all the Prestige Scholarships and must be submitted by March 1, 2019. If you think you are a good candidate for one of our highest awards and have yet to apply, please visit the Awards and Financial Aid website to obtain a copy of the application form.